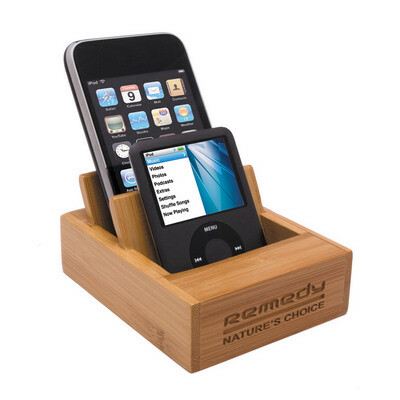 Streamline your gadgets with this stylish bamboo organiser which is perfect for your mobile phone and iPod. Includes natural-coloured gift box. Accessories not included. To hold phone up to 72mm wide. Natural colour gift box. Natural. Price includes: Laser Engrave. Setup is included.